AirTime Trampoline & Game Park, focused on family fun and fitness, announces the expansion into the Toledo, Ohio area. 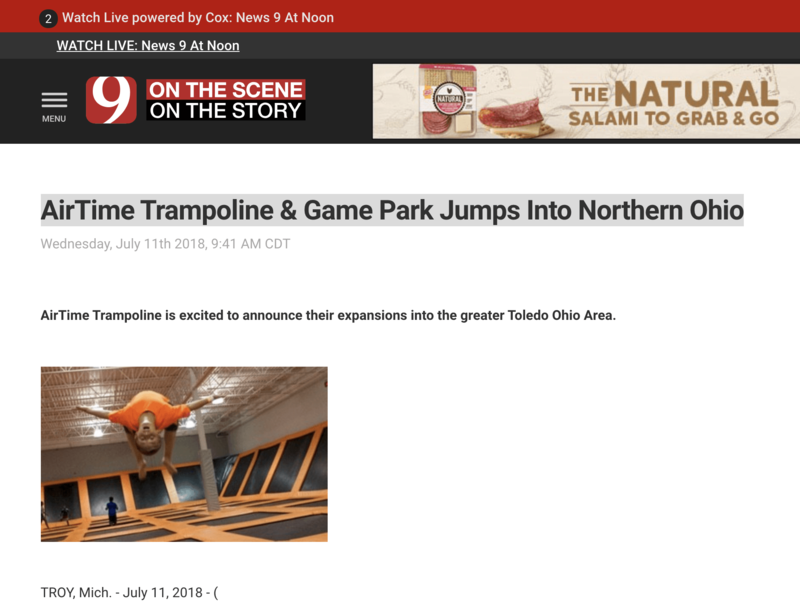 Mahera Abdelghani and Nader Jadallah have recently signed on with AirTime Trampoline and Game park to bring family fun to the northern part of Ohio. Expected to open their first location in by late Fall 2018, the expansion is part of the company’s focus on growth across the USA and Canada. The Abeleghani’s are starting with one park in the Toledo, Ohio area but are already discussing opening additional parks in the future. AirTime Trampoline and Game Park, founded in 2012, has indoor trampoline courts which are designed as a fun and fit outing for all ages, shapes, and sizes. Providing a safe and healthy activity for families is always top of mind. The facility spans over 30,000 square feet and offers something for everyone. Each park has open jump areas where families can jump together along with separate mosh pits; dodgeball; a basketball “Jam Session” area; and even a special Tweeter section just for children six and under. In addition to these trampoline park staples, we are always adding new attractions leading the way with trend-setting activities. Our recently built and new parks will have additional attractions, including a Ninja Warrior course, rock climbing wall, and battle beam to name a few.